I spoke to my friends at Peaceful Valley and they’ve kindly agreed to send you two FREE packets of organic vegetable seeds – whatever you like, but why not start with lettuce – to get you started. (Valid until February 17, 2013.) Pretty cool! I make nothing from this offer, and I am really happy to recommend Peaceful Valley. I’ve shopped there personally for two or three years, and their products are great, they are always friendly and enthusiastic to help, and have always been able to answer my questions. They’ve also some great videos and helpful hints on gardening at their website. 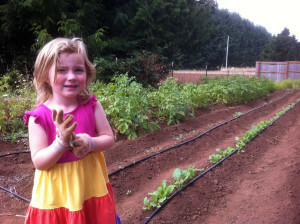 Gardening is a fun way to spend family time together and to educate your children about where their food comes from. Growing their own food is a great life skill and who knows what the world’s food supply will be like in 20 years? 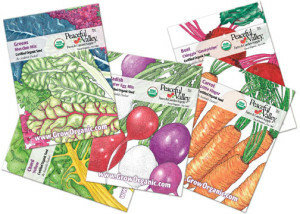 To get your free organic seeds (valid until February 17, 2013) and also win a chance to have a box of organic veg. 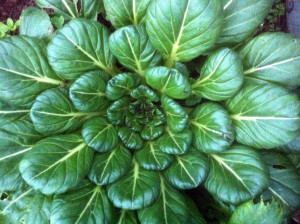 from my garden shipped to you free, simply sign-up for my Water the Roots newsletter below. You will immediately receive the coupon for your free seeds, and you’re welcome to remove your name from my newsletter immediately if you wish. 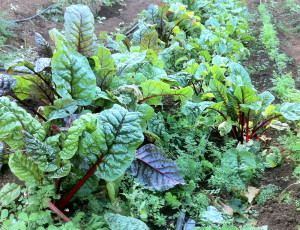 If you choose to stay subscribed you’ll be entered into the drawing for a free box of organic vegetables.